Agricultural runoff in the Pine River watershed is responsible for a significant amount of sediment and nutrient loading to our streams, rivers, and ultimately Lake Huron. 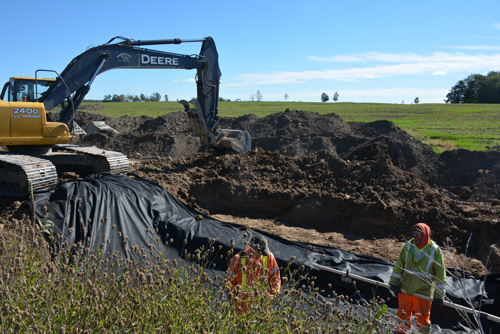 With the cooperation of local famers, PRWIN installs structures called water and sediment control basins, or “WASCoBs” to trap runoff carrying nutrient-rich sediment before it reaches these nearby waterways. A WASCoB is an earth embankment or ridge and channel constructed across the slope of a minor watercourse or an area of field that forms a temporary channel for runoff during precipitations events or snowmelts. 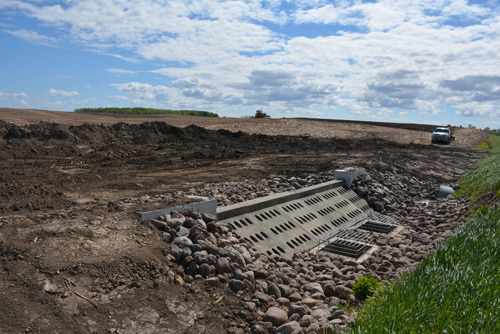 These structures retain water and trap sediment in a basin before allowing water to filter out in a controlled manner. 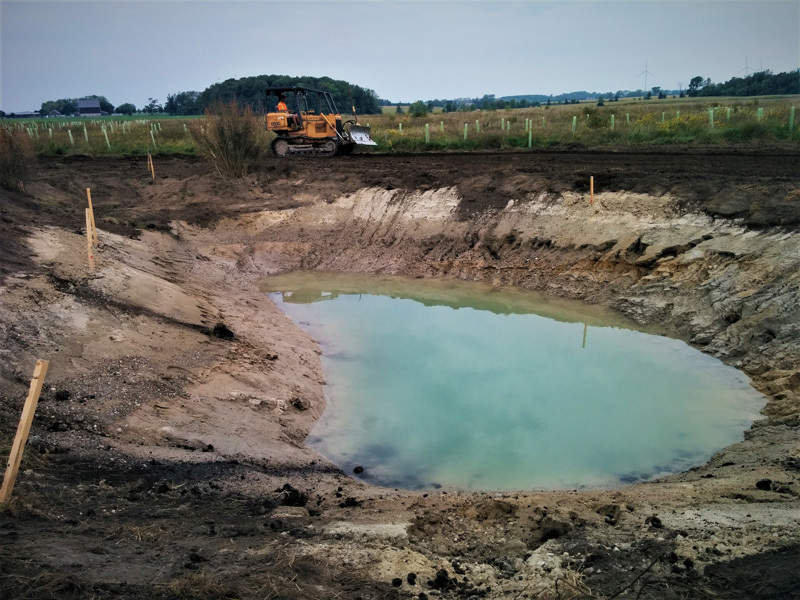 The benefits of WASCoBs are twofold, improving water quality downstream by trapping nutrients and sediment before they can contaminate the water, and improving the agricultural value of land by reducing the formation of gullies and the effects of erosion on a field. If your field is experiencing severe erosion and soil loss, a WASCoB might be the right solution to your problem! In Spring 2017, PRWIN has constructed over 12 WASCoBs, and 7 wetlands!